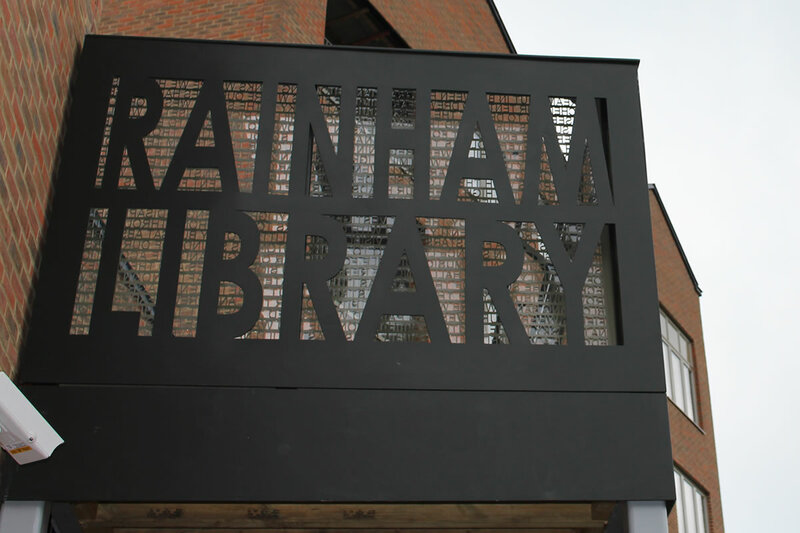 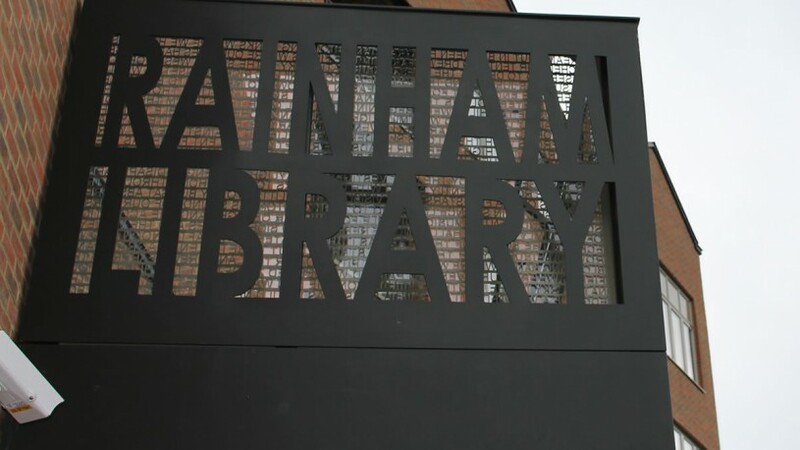 This new build project was a mix of residential apartments and educational building, with café and community hall and of course library is located right next to Rainham train station in Essex. 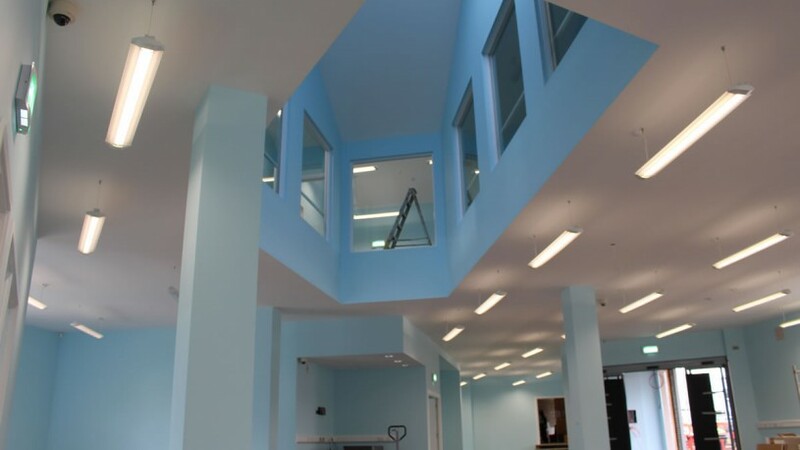 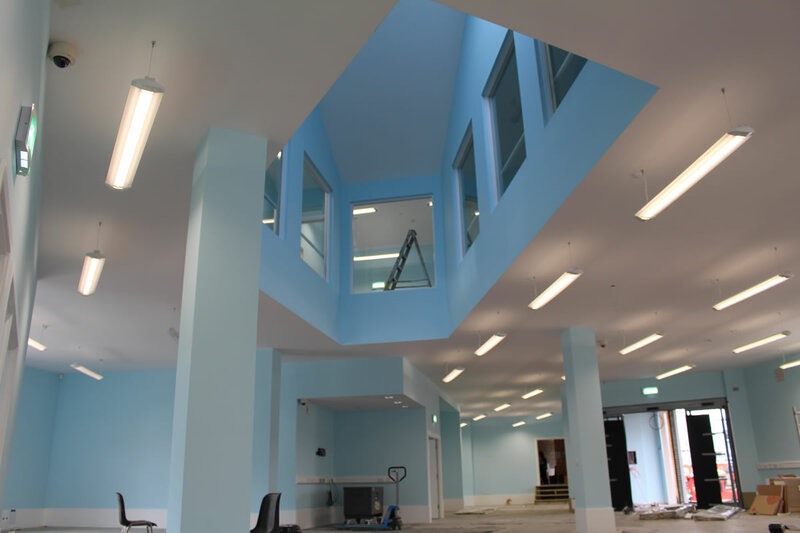 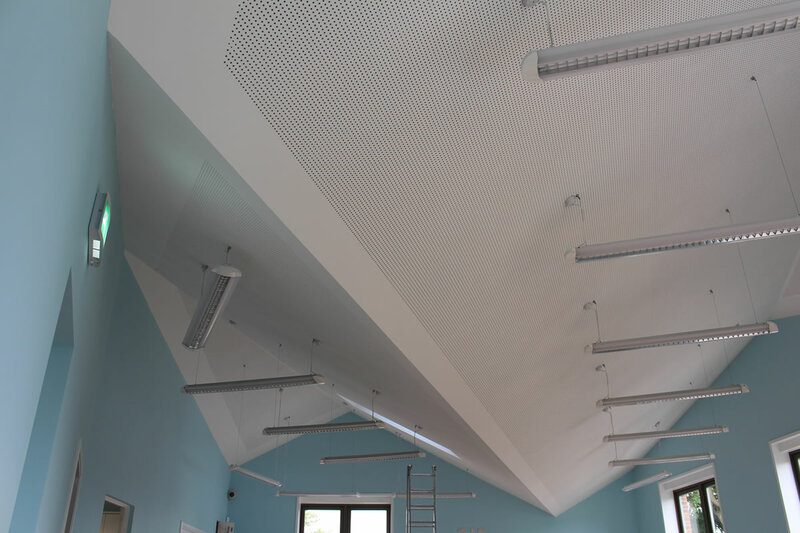 We carried out the Drylining package and specialist acoustic Aesthetic ceiling package on time and to budget. 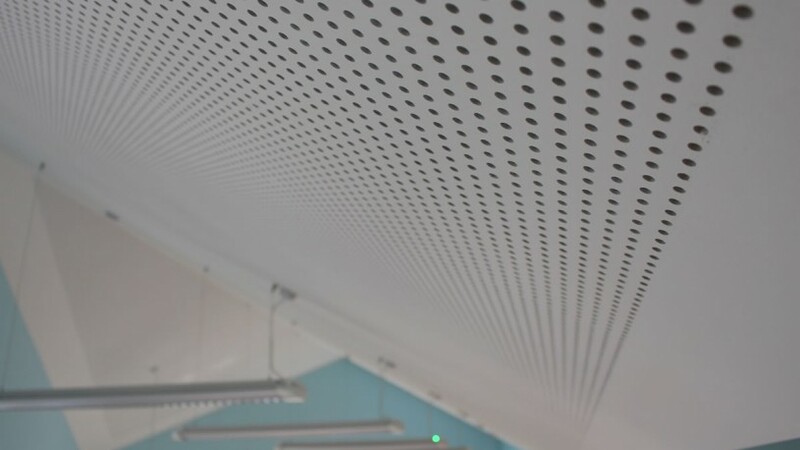 We taped and jointed the plasterboard surfaces on this project and as the photo’s show the perforated plasterboard ceiling to the residential communal areas looked excellent. 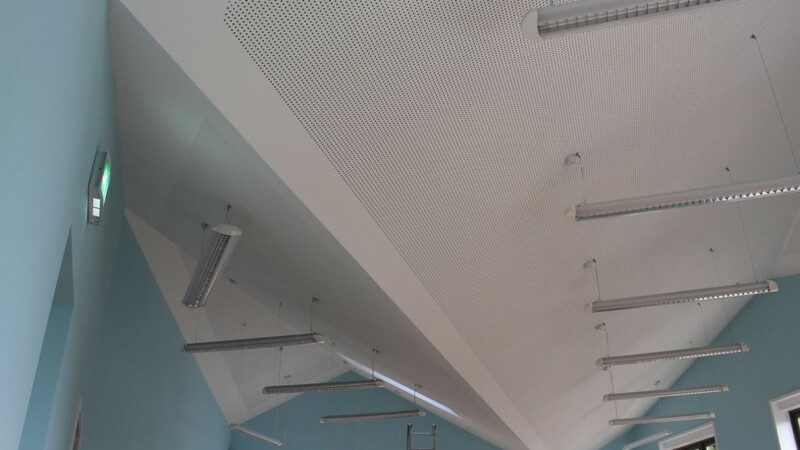 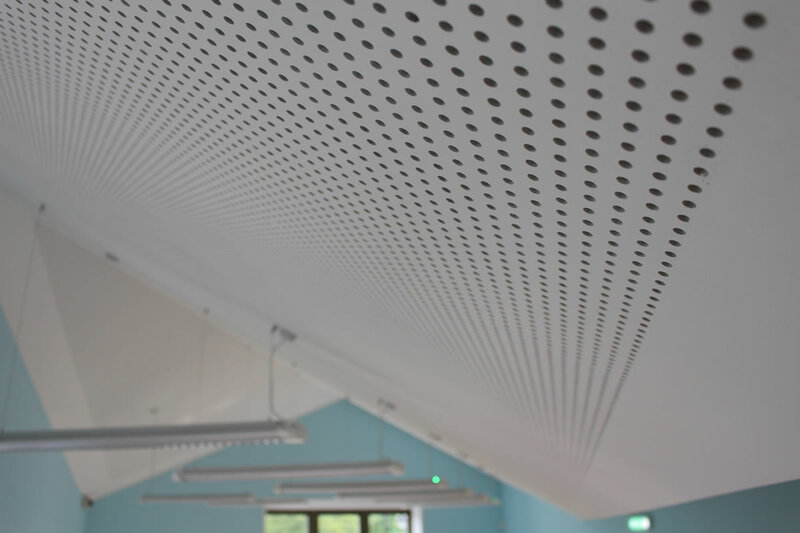 In some large meeting rooms on the upper floors of the library there were also some pitched perforated plasterboard ceilings which also looked fantastic once complete.